Bus transfers: If you need a shuttle transfer from Leipzig-Halle airport or a transfer by bus from Magbeburg to Halle, a bus for a trip from Oschersleben to Quedlinburg or from Strassfurt to Wernigerode, a transfer by coach or minibus from a point A in Saxony-Anhalt to a point B wherever in Germany, whatever your request, Germany Bus makes available vehicles to you. You can also rent a bus directly to our bus rental company partners' departing from Saxony-Anhalt to any destination in Germany and Europe. Sightseeing tours: Germany Bus gladly proposes sightseeing tours in Saxony-Anhalt in comfortable minibuses or buses with driver. If you need to hire the services of a local tourist guide, book meals for your visitors or tickets for cultural events, manifestations, museums etc., you can rely on our team for extra services. Excursions by bus: Thanks to Germany Bus, you can book buses of any size for excursions in, from or to Saxony-Anhalt at any time. If you wish to visit the national park in Harz, the nature park in Dubener Heath, or make a reservation for a full day excursion to Leipzig or Meissen, we will provide with modern and reliable coaches and experienced drivers for any excursion in Saxony-Anhalt. Besides, the tour operator City Tours gladly guides you throughout the organizational process and advises you on the available rental services. Travels by bus: Germany Bus' coaches are also at hand for long trips in Saxony-Anhalt or in Germany, as well as trips to Poland, Czech Republic or Austria. Moreover, City Tours operator will help you out with the building up of personalized itinerary for all sorts of travels by bus in Germany and all over Europe and will make available its couriers and tourist guides. The booking of hotels, tickets for special events is part of our facilities. Saxony-Anhalt bus charter: through the website of the charter coach operator "Sachsen-Anhalt Bus", you can rent buses with driver in Magdeburg, Halle (Saale), Dessau, Stendal and any other city of Saxony-Anhalt. Rent a bus in Magdeburg: the coach company "Magdeburg Charterbus" offers you coaches of all sizes with driver for your sightseeing tours and transfers in Saxony-Anhalt as well as in all other parts of Germany. 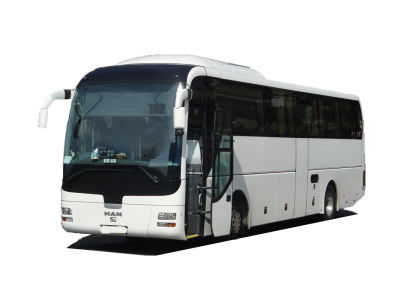 Find a bus company in Halle (Saale): this bus company network can help you hire a coach with driver in Halle (Saale), in other cities of Saxony-Anhalt, as well as all around Germany, in Poland and in entire Europe. Charter buses in Stendal: find and book a coach or a minicoach with driver in Stendal for a street movement or group travel in Saxony-Anhalt, Germany and Europe. Dessau coach booking: traveller groups may hire a bus with conductor through this coach booking company in Dessau (Saxony-Anhalt).
. We will be delighted to treat your request in the shortest time and will forward you an estimate of your tourist tour, travel, excursion or transfer by bus in Saxony-Anhalt!